With Indian sovereign bonds capping their best quarter in four years, Aberdeen Standard Investments has some advice for investors: sell them and pile into Philippine debt. 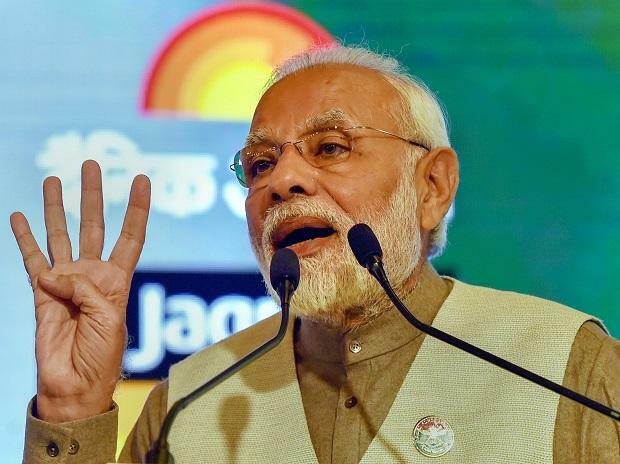 The rally has begun to cool, with the yield on the most-traded government paper hovering near a four-week high, amid concern Prime Minister Narendra Modi’s administration may miss its fiscal-deficit target as it lifts spending before national elections due by May. “The worry in India is politics and also fiscal slippage,” said Lin Jing Leong, an investment manager at Aberdeen, which held $384 billion globally as of June. Philippines government debt, on the other hand, is a “high-conviction” buy as inflation is receding, she said. Overseas funds have sold a net 24.7 billion rupees ($350 million) of Indian government bonds this year, after raising holdings by 60 billion rupees in the last quarter of 2018. Investors have been spooked by reports of Modi’s party considering cash handouts to appease farmers, a key voting block, at a time when government income tax and asset sales is falling short of estimates. Economic metrics in the Philippines are improving, with inflation in December climbing at the slowest pace since May. Consumer prices will ease further, helped by a base effect from early 2018 when oil prices were elevated, Leong said. Leong said her base case is that the Reserve Bank of India (RBI) will continue to provide support for the bond market. Open-market operations in January will take RBI’s purchases to 2.48 trillion rupees in the current financial year, the highest in over a decade, according to DBS Bank Ltd. The yield on India’s 10-year debt dropped 66 basis points in the December quarter amid a slump in oil prices and the RBI’s debt support, faster than the 37 basis-point fall for similar tenor paper in the Philippines. Peso debt yields rose 189 basis points in 2018 amid fears of a glut in domestic bond supply and higher US Treasury yields. While selling sovereign Indian debt, Aberdeen is raising its allocation to quasi-sovereigns and company bonds as the spreads are still quite high, Leong said.